According to the American Welders Society, there will be 450,000 vacant jobs in 2022. Imagine an industry with too much opportunity but not enough workers. "Everyone has got more work than they have ever had but no workers," Mark Andol, the owner and founder of General Welding and Fabrications, said. That is the state of the welding industry right now. According to the American Welders Society , there will be 450,000 vacant welding jobs by 2022. "There's a shortage of welders. The average age of a welder is between 55 and 60 years old," Shawn Woodward, a welding teacher with Buffalo Public School's Adult Education program. General Welding is one of those facilities struggling to fill open spots. That's why the Buffalo school districts adult vocational program is training people Patrick Obrien to fill those open spots. "I'd love to have a great job someday in the welding field or something that comes from it," Obrien, a student at the districts welding program, said. Every week for the past two and a half months Obrien has come to Burgard High School for three hours to practice welding. The program is a three week course that he said he hopes helps him find a job. Depending on how quickly he learns and how long he stays in the business, he could push a six figure salary according to Andol, the owner of General Welding. "We got over time programs. Double time programs. If they put in the time, they will get a really good living and they aren’t going to starve." Andol said most people start around $16-$26 an hour. 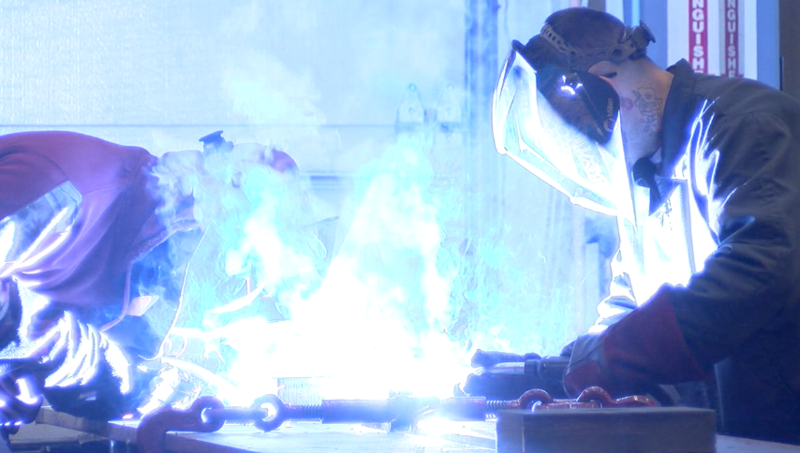 General Welding, which has contracts with companies like Northrop Grumman, is accepting applications. You can click this link for more information.